Welcome to Elemental Metal Design! We hope you enjoy visiting our pages. Our metal art ranges from copper sculpture, to metal tables, to wall art and beyond. We can transform your vision into metal art. Our studio is nestled within the beautiful blue mountains surrounding Hawk Mt Sanctuary in NorthEast Pennsylvania. Tuscan Sun- Click for "Copper Suns"
ABOUT US: Our studio is a family-centered creative space. Each member of the Minnick family is educated in metalworking arts or industry. We have over ten years experience as fabricators. Our organic design metal art is often inspired from the natural harmony of color and texture which flows across the face of Hawk Mountain. Ever-changing yet always inspiring, we feel fortunate to live and work in our open air studio. Our artistic goal is to create visual excitement as well as beauty. A passion for working with metal, especially stainless steel and copper alloys, keep us highly motivated toward that goal. 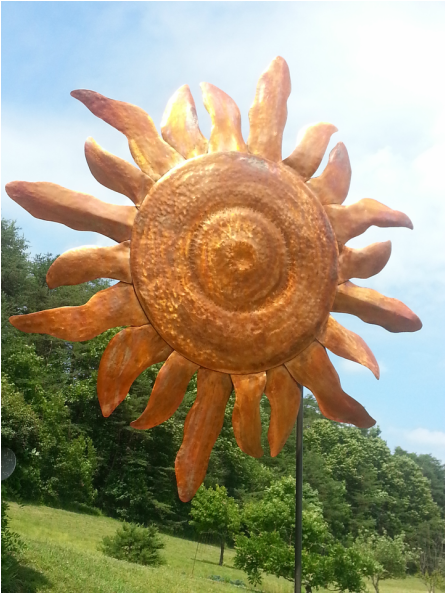 You can find our outdoor sculptures and metal decor in gardens and homes throughout the NorthEast. Most works are commissioned and may be fabricated in a variety of material and finishes. Lacquer and wax are applied to enhance the beauty and longevity of your artwork. 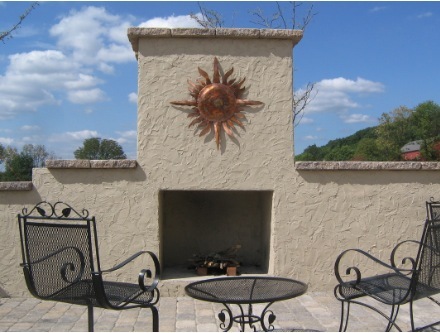 We specialize in stainless steel and copper sculpture as well as iron, aluminum and brass. 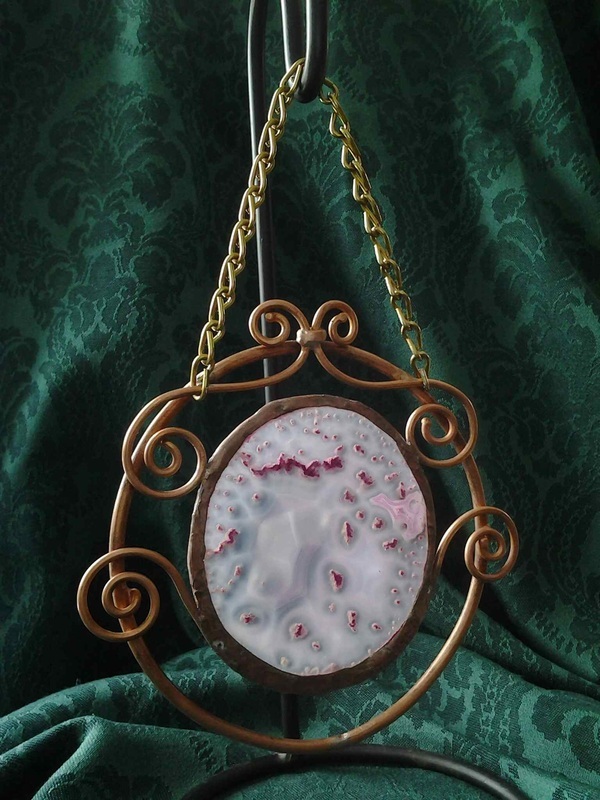 Traditional metal-craft is melded and welded with modern techniques. These include hand forging, plasma cutting, brazing, MIG, TIG and gas welding as well as flame coloring and chemical patinas. You can be sure that our metal artistry is backed by quality workmanship. Satisfaction guaranteed.